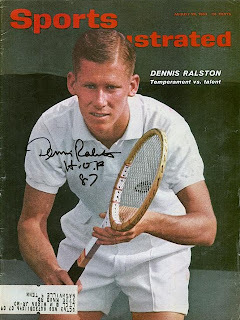 * ...TENNIS GREAT: You don't have to be from Bakersfield to remember Dennis Ralston, arguably one of the greatest American tennis players of all time. He graduated from Bakersfield High in 1960 and went on to play at USC, rising to the top of his game in the 1960s. You may also know that he recently had his foot amputated and is now recuperating in Houston, Texas. It turns out the men's and women's tennis teams at Bakersfield College sent Ralston a thoughtful get well poster late last year, proclaiming that "Bakersfield remembers you and always will." Gene Lundquist, BCs women's tennis coach, told me he received a thank you card from Ralston the other day. "He said he was doing better and had a new foot designed for golf and tennis. 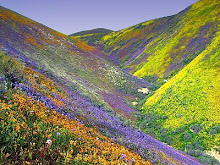 He said he hoped to get back to Bakersfield and added that he needed a Dewar's fix," Lundquist said. * ... 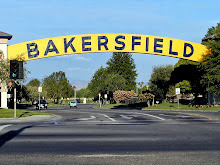 TRAIN RIDE: Heard from several readers about the tragic end to the Bakersfield to Buttonwillow train ride that featured a fake robbery staged by a local Lion's Club. Al Sandrini, who works at Sundale Country Club, remembers the last ride in 1959 when the actors rode their horses along the train, shooting blanks into the air and eventually stopping the train. But this is where things went wrong because others (not the Lion's Club actors) started shooting live 22 rounds at the train. "My father was standing in one of the parlor cars with some friends and a young man was struck in the head. My father attempted to stem the flow of blood with his handkerchief while others assisted. The young man died, and so did the Buttonwillow train ride." 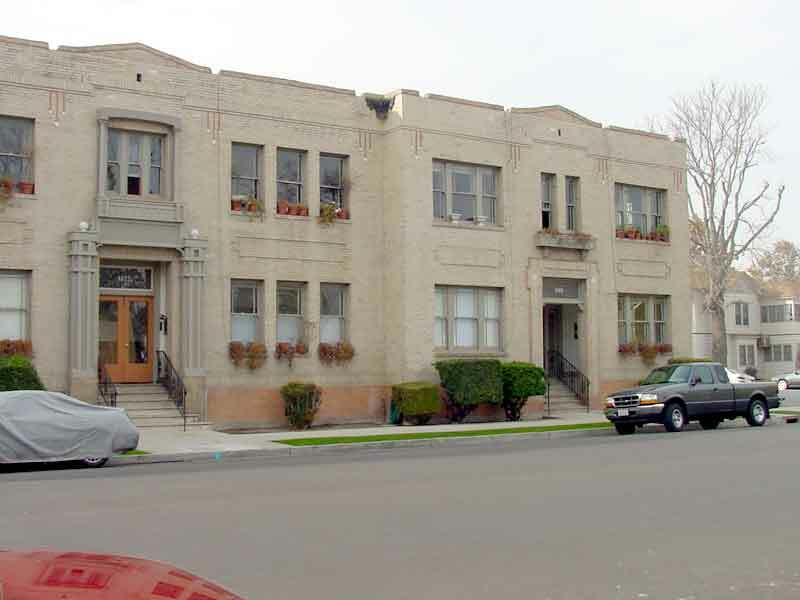 * ... McGILL: Reader Nancy Fieber wrote to recall being in the McGill brownstone apartment building during the 1952 earthquake that leveled much of Bakersfield. "As a newlywed, we were living at the McGill. We were routed out of our bed and had to grab the nearest articles of clothing. We had to rent an apartment elsewhere as the McGill had to have extensive repairs." Located at 19th and B streets downtown, the 12-unit McGill brownstone was built in 1917 and remains a popular destination for those who prefer the downtown lifestyle. * ... IVY BOUND: Nice to hear that James Nguyen, a senior at North High School, was accepted through early decision to Cornell University and will be headed there this Fall. He will be a double major in foreign economics and Japanese linguistics. Thanks to teacher Nicole Cerotsky for passing this along. * ... SPOTTED: From reader Wayne Marshall: On the southeast corner of Coffee Road and Rosedale Highway, a man in camouflage with a bed roll holding a sign reading, "Traveling, need help." When he flipped it over it said, "Need money for Guns and Ammo." 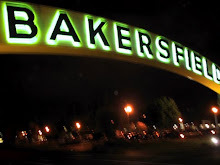 * ... BAKERSFIELDISM: Linda Welch wrote to say that "you know you're from Bakersfield if you remember the revolving doors on the old Bank of America at the corner of 20th and Chester. 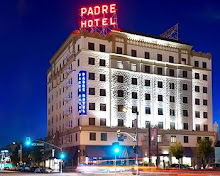 It was on the 20th Street side across from a Long's Drug Store."